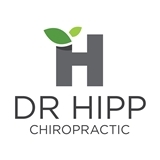 Dr. Hipp's Chiropractic (San Francisco) - Book Appointment Online! Dr. Hipp practices chiropractic Biophysics (CBP), and CBP techniques are evidence-based with ongoing research to improve patient outcomes. Dr. Hipp's Chiropractic is waiting right now to take you on your journey from symptoms to healing by addressing the root cause of discomfort and eliminate its progression. Our office utilizes full spine rehabilitation with the latest technology to elevate your health beyond your expectation. Dr. Hipp utilizes digital posture analysis, digital X-ray, K-Cube Laser (for quick tissue healing), full body vibration (improving strength and endurance), and lastly, mirror image traction to make changes permanent. All of these modalities together with spinal adjusting and massage makes for an unique experience you will appreciate. Dr.Hipp's mission is to elevate and transform your heal by opening opportunities to heal for real. Hipp's Chiropractic is conveniently located one block from Montgomery BART/Muni in downtown San Francisco.